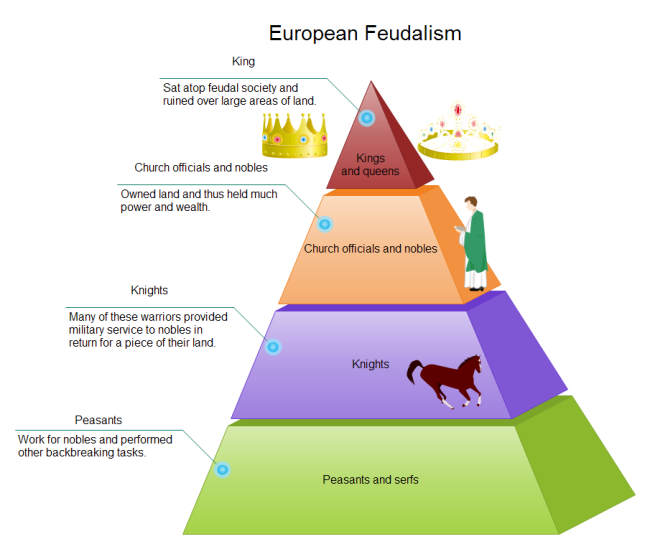 Description: A free customizable feudalism pyramid diagram template is provided to download and print. 3D smart shapes are used in the example. It has become easier and faster than before to make 3D pyramid diagrams. Here is a simple feudalism pyramid diagram example created by Edraw Max, which is available in different formats.